“I don’t think you understand how completely I trust you guys,” she interrupted us politely while we attempted to walk her through some photo location options for her approval. 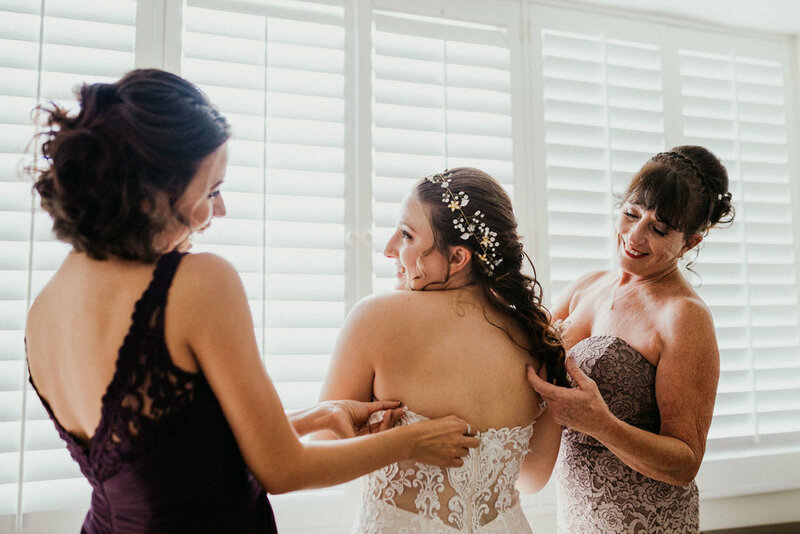 We were just finishing up a final tour of the venue during their rehearsal the day before their wedding, and her statement disappeared into the frenzy of the next thought as family and wedding party buzzed around making last-minute arrangements. Morgan and Nick sold us on them the moment they informed us of their deep love of all things Disney. This was way back in November when they chose us as their engagement and wedding photography team. Since then, we have always looked forward to our time spent with them, even though they assured us of their “extreme awkwardness” in front of the camera. 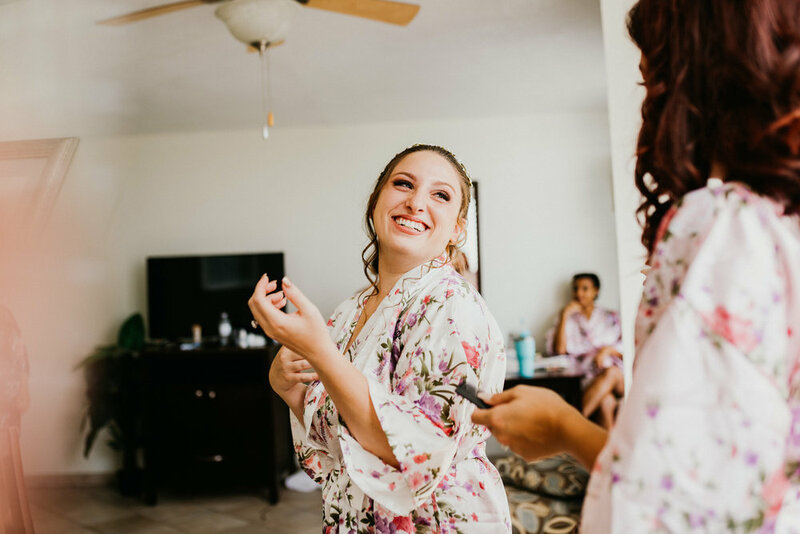 They surprised themselves when we delivered natural, romantic, and dramatic portraits of their seaside engagement session, so we were eager to surprise them once again on their wedding day! 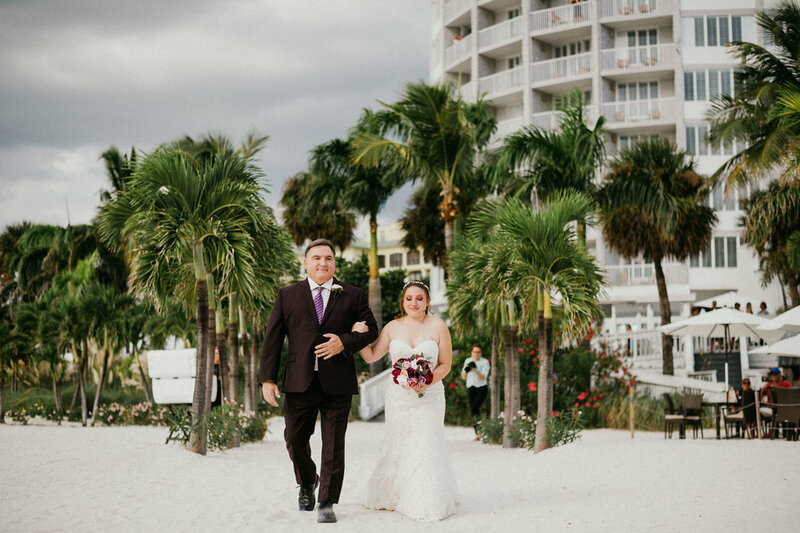 Their wedding ceremony and reception were held at The Grand Plaza Hotel in St Pete. 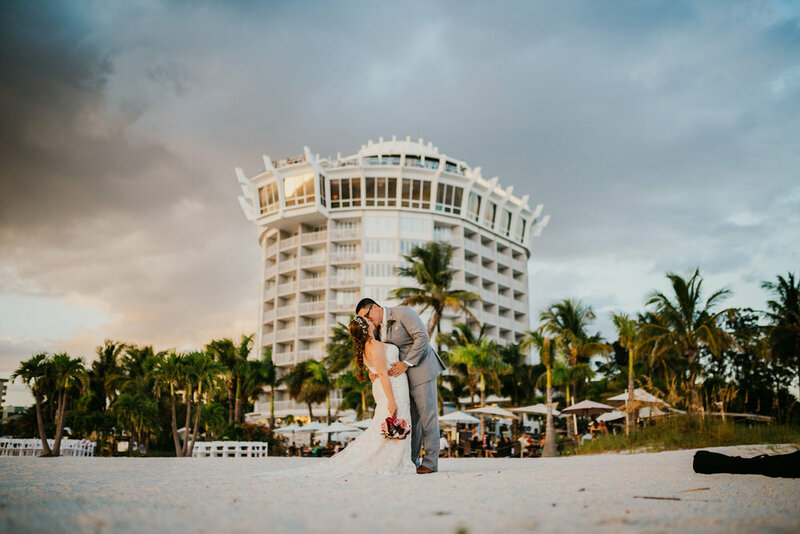 The day was a bright and sunny one, but we were blessed with just enough cloud coverage during their wide open beach ceremony to keep everyone cooler and more comfortable as Morgan and Nick exchanged hand-written vows. 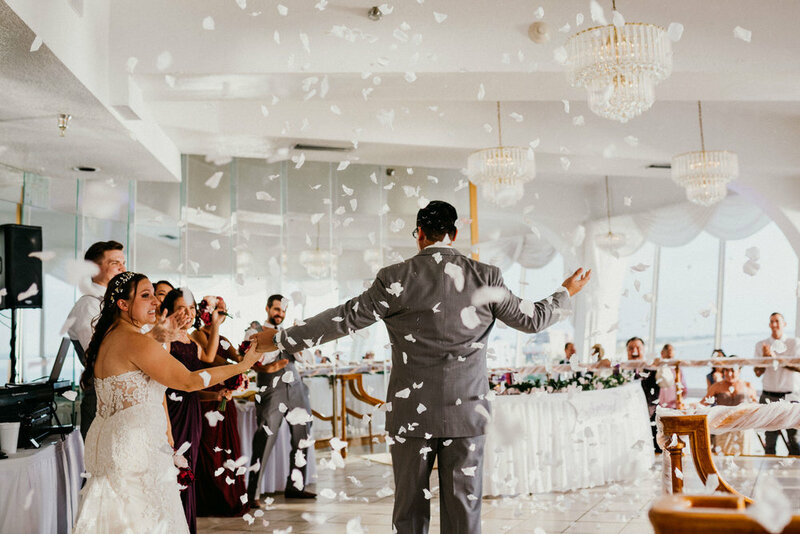 The reception was held on the penthouse floor of the Plaza, and our newlywed couple shared their first dance in front of friends and loved ones while bathed in the golden afternoon light streaming from the near floor-to-ceiling windows that comprised one side of the banquet hall. At the peak of golden hour we whisked them away from the reception to sneak in one more round of Just Married Portraits on the beach. We could go on about the perfection of the quality of the sunset we all enjoyed on that day, but we’ll let their ridiculously epic portraits speak for themselves on that subject! After racing the sun to its setting, we quickly returned the couple to their penthouse celebration, and we enjoyed a couple more hours full of dancing to an excellently planned playlist relying heavily on ‘90’s classics. 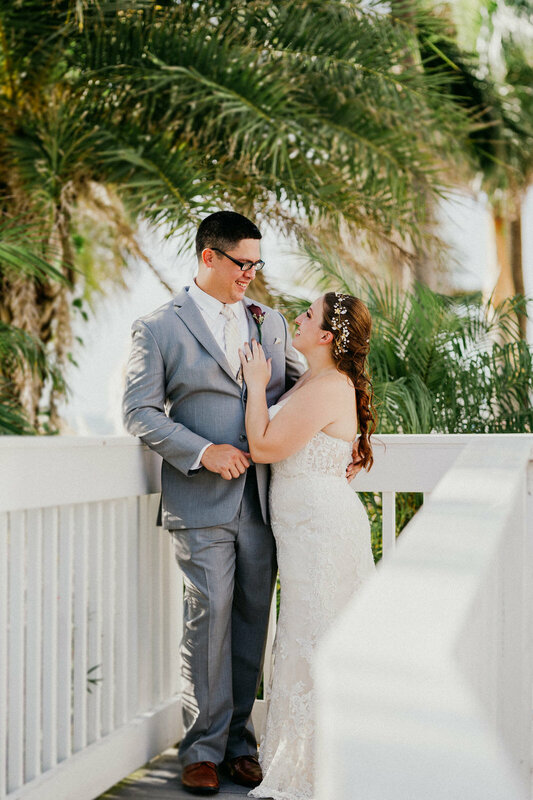 Morgan and Nick’s wedding was full of all of our favorite things: So many laughs, an outpouring of genuine emotion felt by all, and all of the elegant simplicity that makes beach weddings so beautifully impactful. 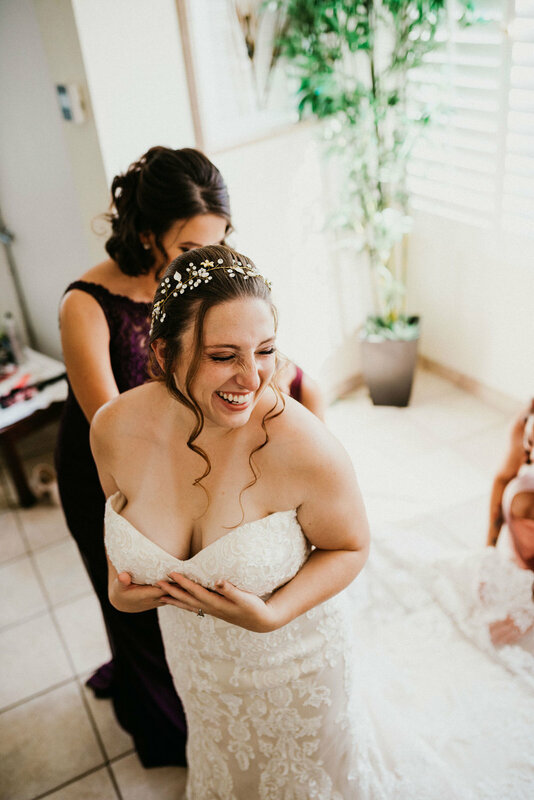 Morgan and Nick (and all of their loved ones) welcomed us into their special day as if we were family, and we feel so blessed to have shared in the most important day of their lives!